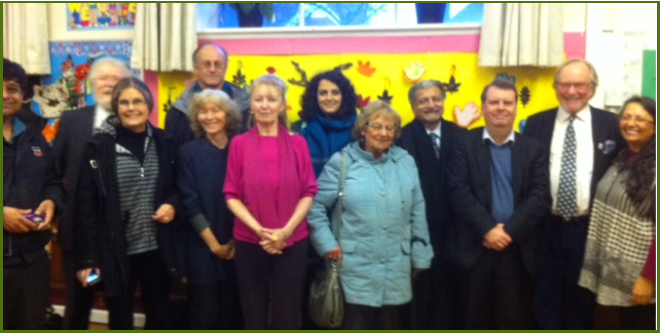 The Animal Interfaith Alliance held its inaugural meeting on 7th January 2014 at Golders Green Unitarian Church where there were representatives from the Anglican, Buddhist, Catholic, Hindu, Jain, Jewish, Quaker and Unitarian faiths. A peaceful world where people of all faiths and none work together to treat animals with respect and compassion. To create a united voice for animals from all of the world’s faiths and spiritual beliefs, based on their founders’ teachings, to lead the world in the humane treatment of animals. To promote a vegetarian/vegan diet, which also embraces the issues of environmental protection, healthy lifestyles and ending world hunger, and to end animal exploitation. The Animal Interfaith Alliance is a registered not-for-profit company number: 8958588. Registered company address: 31 Hoop Lane, Golders Green, London, NW11 8BS.